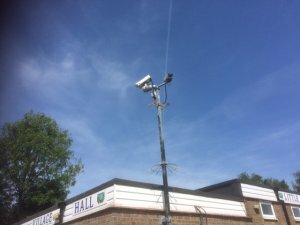 The Parish Council owns 11 CCTV cameras which are located on the Village Hall and on the QEII Playing Field. The cameras are used to protect Parish Council owned equipment. The CCTV images are retained for approx 15 days.